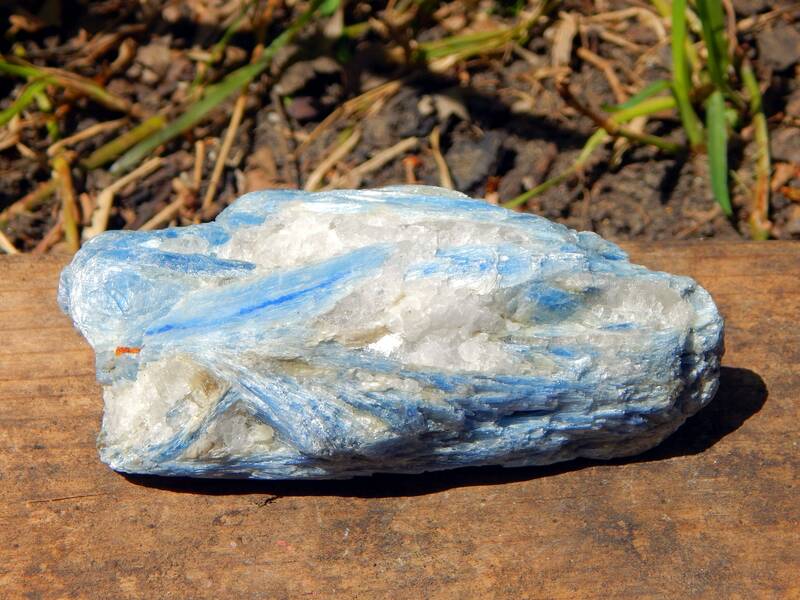 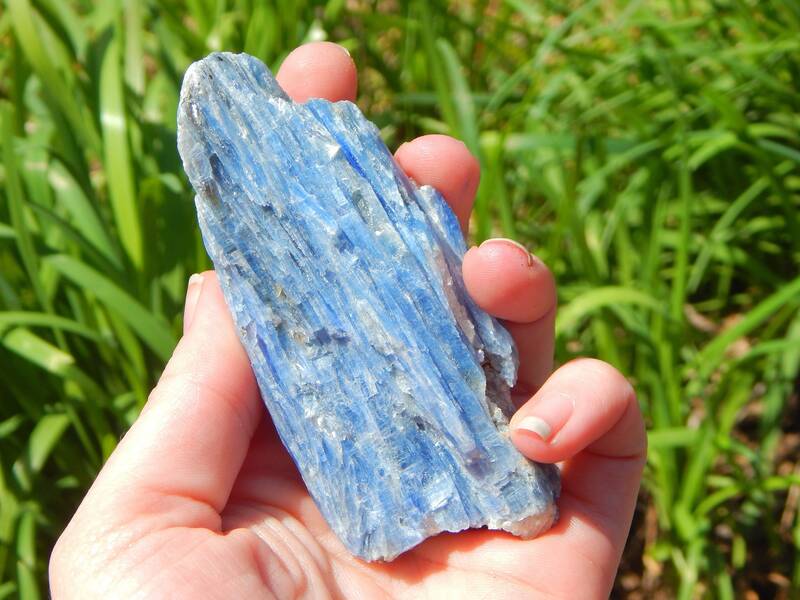 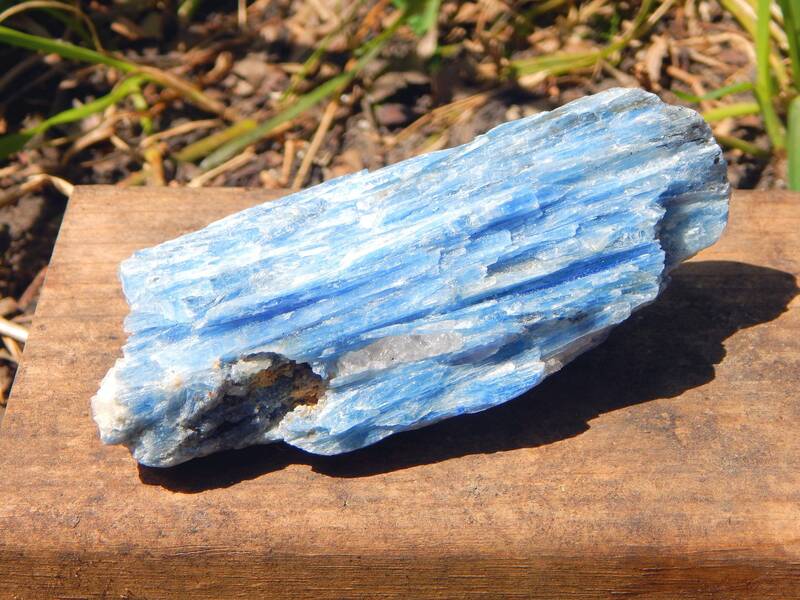 This is a lovely, extra large blue Kyanite with Quartz matrix and bits of orange Kyanite. 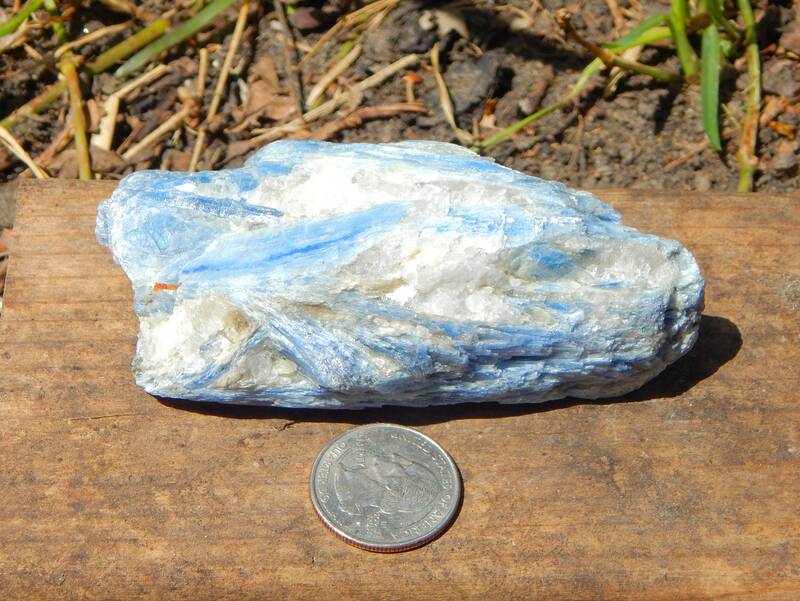 This specimen is a high quality cabinet piece, measuring 3.9 inches in length and weighing a hefty 6.8 oz or 195 grams. 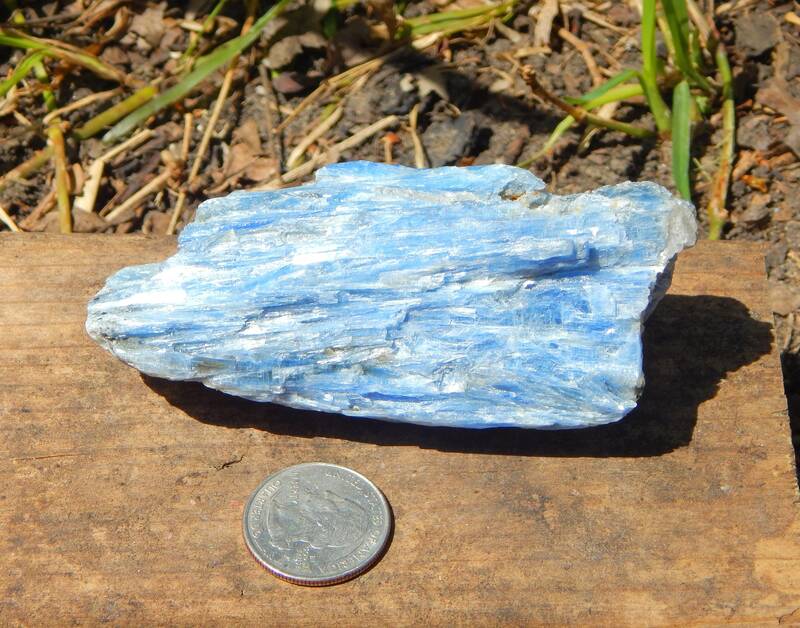 This specimen is from Madagascar.